Loud snoring can be one of the major reasons why a person can’t get a good quality of sleep at night, and it may be the reason why he or she can’t function well at work. Anti snoring aids are created to help a person who snores reduce or even totally eliminating snoring at night. 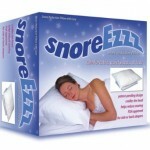 A type of snoring aid that has been widely used by a lot of people these days are anti snoring pillows. Anti snoring pillows are specially made to help in maintaining proper alignment of the head and neck with the spinal column all throughout the duration of sleep. However, not all types of anti snoring pillows work similarly, some may be more effective and some may be more comfortable. What is Therapeutica Sleeping Pillow? 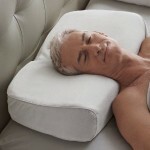 Therapeutica Sleeping Pillow is the only pillow that permits a person to sleep on his back or on his side, while still maintaining proper alignment of the spinal column. When a person shifts from one position to another during sleep, the Therapeutica Sleeping Pillow can still provide support to the back, head, and neck. During sleep, the pillow can provide back and neck therapy, which can help in relieving stress and muscle tension. Therapeutica Sleeping Pillow helps in preventing snoring by keeping the head slightly forward while sleeping, thus creating an obstruction-free airway that can help in improving breathing. In every position a person sleeps, Therapeutica Sleeping Pillow’s design can still provide comfort, decrease snoring, and proper spinal alignment. The pillow is made by incorporating two pillow shapes in into 1 pillow. Unique “Wedge Extension” supports your upper back. “Cervical Contour” maintains the natural curve of your neck. 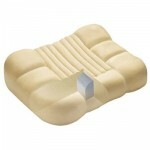 “Center Cavity” cradles head for optimal support and comfort. “Raised Side Sections” accommodate shoulder height. “Contoured Head Rests” keep your head and neck level. 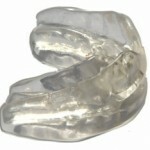 “Side Cavities” provide flexible cushioning, ensuring jaw comfort, essential for TMJ sufferers. 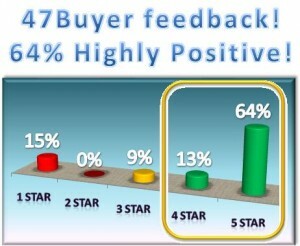 Have someone assist in measuring you for your Therapeutica Pillow. Have them measure your left shoulder. Move your shirt collar, if it interferes. Stand Facing the person who is measuring you.
. Arms down to your sides. Have the person measuring you, hold the ruler to the base of the neck. While holding the ruler in place, with their left hand, your assistant should feel for the humorous bone with their right hand. Note: Ignore any muscle mass beyond the humerus on the exterior of the shoulder or on the lower arm. Use measurement in choosing the right size of the pillow. Helps to eliminate sore and stiff neck problems from sleeping incorrectly. Reduces snoring. Comes with a free fitted polyester/cotton machine washable zippered pillow cover. 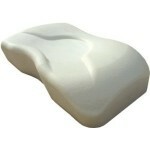 Made of non-allergenic environmentally friendly foam. Since Therapeutica Sleeping Pillow can provide comfort and reduce snoring even if a person is a side sleeper or a back sleeper. 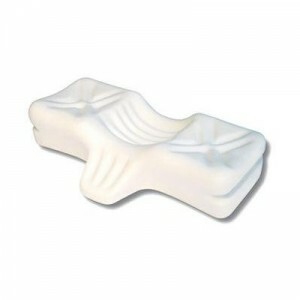 Many people can benefit from this pillow, since the pillow is made by incorporating two pillow shapes in into 1 pillow.